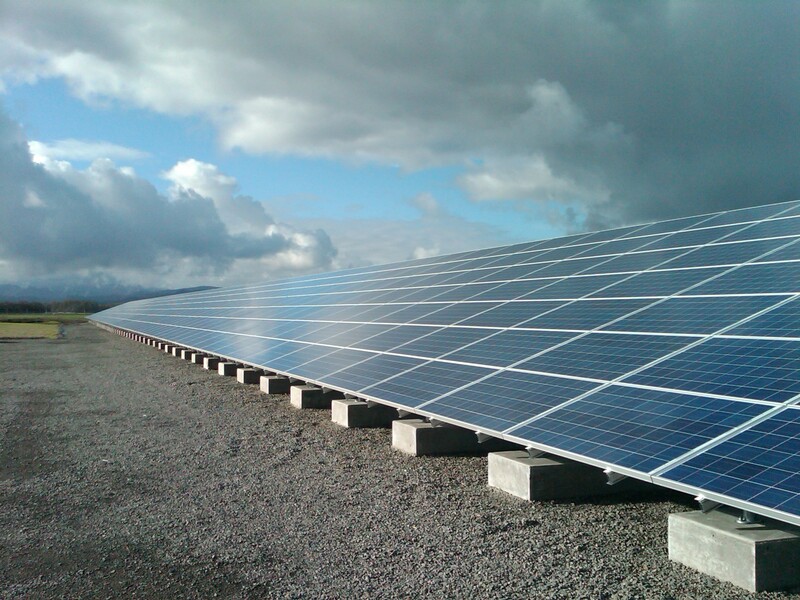 Energy Design has extensive knowledge in the field of commercial scale solar design and construction. Developing solar projects often requires a 12 month timeline, meticulous financial planning & stellar design work. 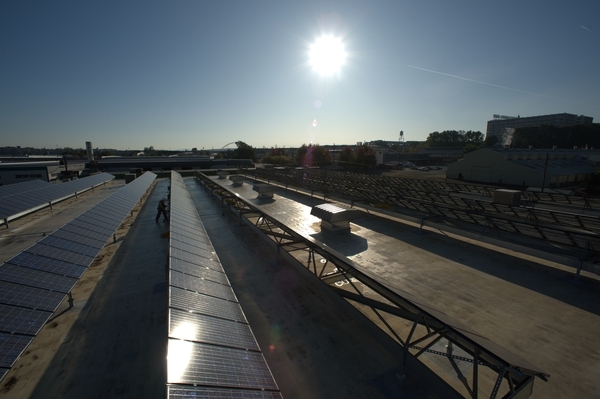 Tax credits and utility incentives make commercial solar energy systems a cost effective strategy for controlling spiraling energy costs, while making a positive statement about who your organization is to your community. You can find more information about Oregon’s commercial solar incentives here. Utilizing the federal 30% investment tax credit (FITC) and a modified depreciation schedule for solar equipment allows a solar investment to become a net positive investment by the end of the 5th year in many cases; all while creating clean power on site that reduces the need for utility power. 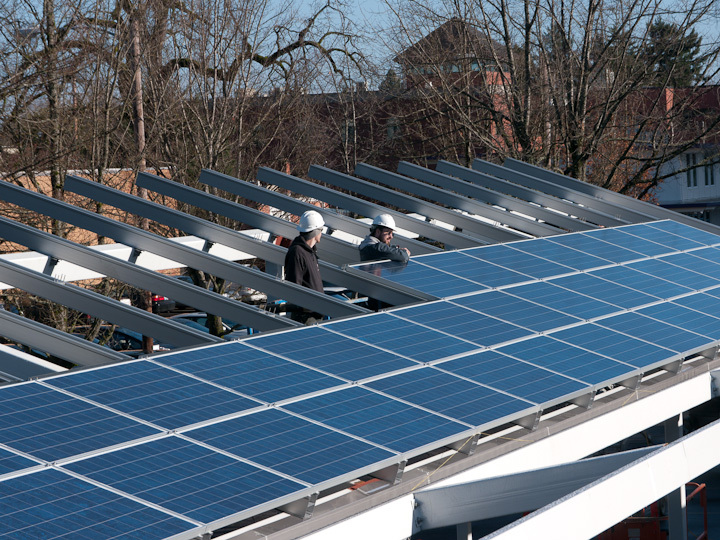 Typically, our commercial clients produce between 15% and 50% of their annual load with their solar installations when installed to feed an existing business property or manufacturing facility. Larger systems are often designed to be direct generation, and involve negotiation of a power purchase agreement with the utility. Careful planning is necessary, as there are many restrictions on siting renewable energy facilities. Each county and municipality has their own set of regulations to manage these facilities. There are also utility restraints on the capacity of existing power lines and distribution equipment in each district. Energy Design has installed rooftop & ground mounted solar electric systems ranging from 2 to 135 kilowatts. Our in-house design team has partnered with structural and electrical engineering firms to offer system design documentation, procurement & installation services for projects across the Western United States. 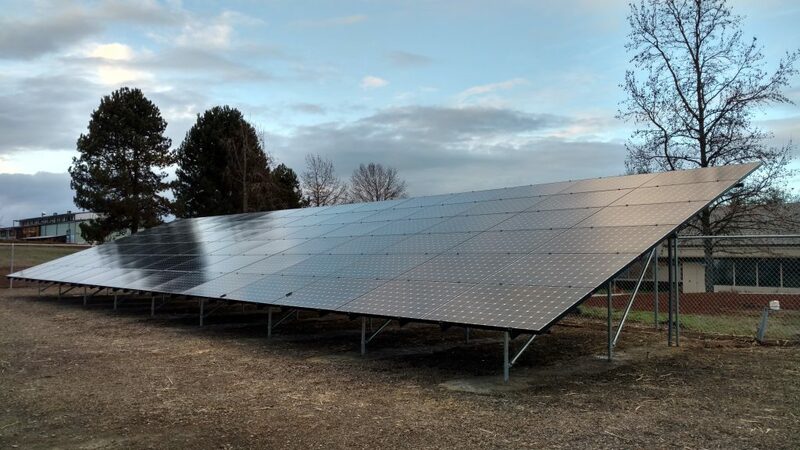 Energy Design holds a deep belief in land stewardship and recommends avoiding the installation of large solar facilities on federal lands, wilderness/scenic private lands, forest lands, and farm land. These sites are priceless, and often involve lengthy land use decisions, environmental studies and potential lawsuits that can take years to process. If you are interested in siting a large facility, we can assist you with accessing a database of super-fund sites, landfills, etc. through the EPA’s Re-Powering America’s Land website. These previously disturbed lands are much better suited for the purpose, and further the efforts of promoting a renewable energy economy. We can also assist you with siting facilities in existing pastures & devalued sites that lie close-in to existing infrastructure. Energy Design has experience working on behalf of our clients to present projects to utilities, AHJ’s (Authority Having Jurisdiction), as well as state & federal regulatory bodies. These systems are typically designed to be either net-metered (feeding the on-site, existing main electrical panel) or direct generation (feeding in to the utility owned grid directly). Each have their own benefits and disadvantages. Each utility and AHJ in Oregon has a unique set of rules and regulations governing the interconnection of these systems to the grid. Energy Design can assist you with wading through these complex laws and regulations to choose a path that best suits your site and the intended purpose of your solar investment. I am pleased to give your company, Energy Design, my highest recommendation. I interviewed representatives from three solar companies prior to selecting Energy Design and was most impressed by the years working in solar energy and the knowledge about placement for the solar arrays.